This braided side bun offers an elegant and impressive look. The splendid bun will create better effect on the long hair. It can flatter many face shapes, and you can add some bangs if you like. You can garnish it with a flower. Style your hair into a side low ponytail. Divide the ponytail into three equal sections. Fishtail Braid each section. Pull out the folded pieces on each side to double the size of the plait. 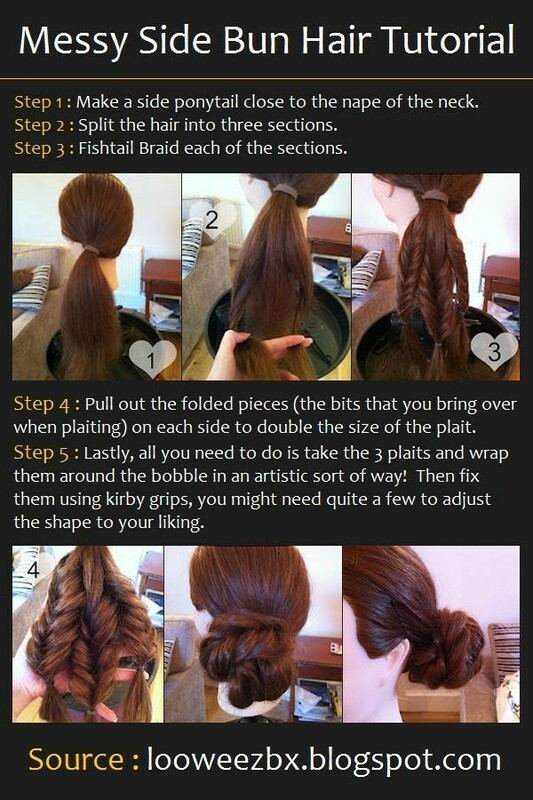 Wrap the 3 plaits around the bobble into a bun. Fix them with kirby grips. Apply some hold hairspray to keep it in place.